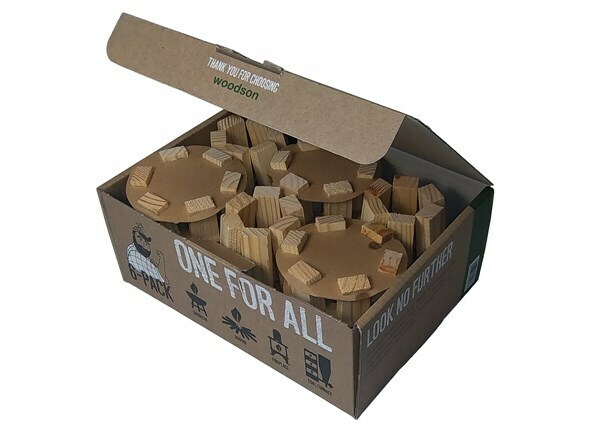 Buy Woodson fire lighter: <br><ul><strong><li>From sustainable forests</li><li>Ready to use</li><li>100% natural and odourless</li></strong></ul><br>Light fires safely, quickly and easily with these natural wood firestarters.<br><br>The eco-friendly cones are made from 100% sustainable wood and cardboard, with no wax, kerosene or other noxious chemicals - so they're kinder to the environment than regular firelighters, and odourless when they burn.<br><br>They make it simple and fuss-free to light barbecues, braziers, bonfires and fireplaces without the need for kindling, paper or any flammable products.<br><br>Just place the cone, narrow end up, on a flat surface, surround it with wood or other fuel up to its full height (leaving the top uncovered), and drop a lit match inside. After 5 minutes, add some coal or wood and watch your fire flourish!<br><br>Box contains 6 firestarters and a small box of matches. Approximate burning time 3 minutes. Light fires safely, quickly and easily with these natural wood firestarters. 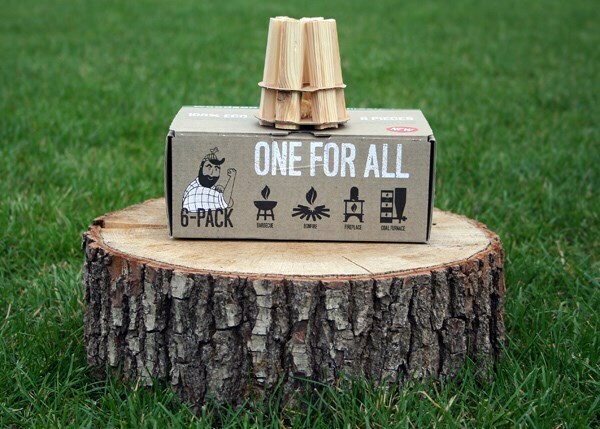 The eco-friendly cones are made from 100% sustainable wood and cardboard, with no wax, kerosene or other noxious chemicals - so they're kinder to the environment than regular firelighters, and odourless when they burn. They make it simple and fuss-free to light barbecues, braziers, bonfires and fireplaces without the need for kindling, paper or any flammable products. Just place the cone, narrow end up, on a flat surface, surround it with wood or other fuel up to its full height (leaving the top uncovered), and drop a lit match inside. After 5 minutes, add some coal or wood and watch your fire flourish! Box contains 6 firestarters and a small box of matches. Approximate burning time 3 minutes. i had seen this in holland being used to light a bbq. 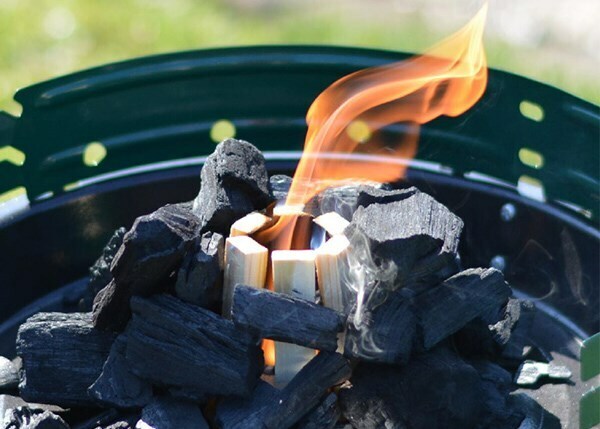 The firestarters are a great and easy way to light my Fire pit! just load up logs around it and strike a match. DONE!